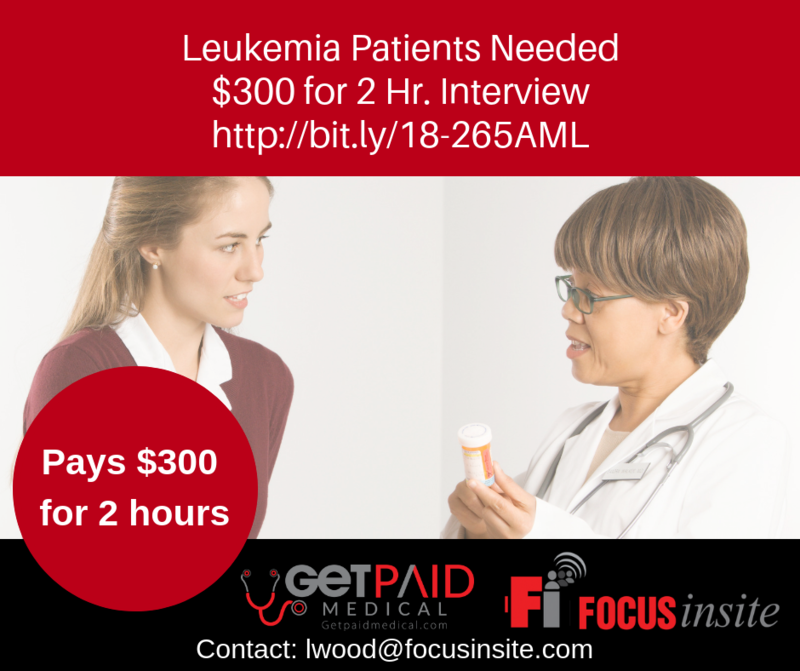 We have a new study on Acute Myeloid Leukemia and are looking to speak with recently diagnosed AML patients about their treatments and experiences. We are conducting two hour video interviews in the coming weeks. For your time, you will be paid $300.00.